Interestingly, a trackman in Eastern Railway, an officer attached to an assistant to GM in Western Railway and such officials in remote locations have also been named in the junior ministers’ list. At a time when Indian Railways is in its worst financial mess ever, ministers from the previous regime who recently demitted office at Rail Bhawan have doled out handsome amounts as cash awards from official coffers to their personal staff, apparently for doing their jobs well. Former railway minister Mallikarjun Kharge and his junior ministers Kotla Surya Prakash Reddy and Adhir Ranjan Chowdhury have sanctioned cash rewards to their personal staff in their respective “minister’s cells” and also to staff attached to their official houses. From Group A officers to Group D staff, the combined number of beneficiaries for the three ministers is 328 and the total amount towards this benefit is more than Rs 47 lakh. Kharge has given Rs 15,000 to each of his 115 staff, while Reddy has sanctioned Rs 20,000 each to two of his seniormost officers, Rs 15,000 each to nine people and Rs 12,000 to the rest 102 people. Chowdhury has given out Rs 15,000 each to 100 people. Officially this money is defined as “award” while unofficially, in the circles of Group C and D officers, it is known simply as “bakhshish”. These people draw government salaries and enjoy official and “unofficial” perks of being associated with ministers. The list of beneficiaries includes gardeners, drivers, persons designated to pick phones in ministers’ residences, cooks, bearers, khalasis and the like. It also includes additional private secretary, under secretaries, deputy directors, among others. In the case of Reddy, the list also includes his private secretary, who is an IAS officer (a political appointee) and the Executive Director (Public Grievances) in Railway Board, who is a joint-secretary level officer. A few senior political appointees from the teams of Chowdhury and Kharge are not named in the list, purportedly because they wanted their names excluded on the grounds of “principle”. According to documents accessed by The Indian Express, Reddy has given the justification that the staff attached to him had to work overtime, carry out duties like drafting VIP letters, departmental orders, attending parliamentary matters and the like, and the reward is a token in recognition of such duties. Incidentally, Reddy stopped coming to Rail Bhawan around October last year after resigning in protest against the Cabinet’s approval to create Telengana. “I was not here, so I would not know anything about it,” says Gaurav Uppal, Reddy’s PS, the IAS officer who is entitled to get Rs 20,000 as per the list. “Each senior officer, from Divisional Railway Manager upwards, can give a certain amount as cash award. The list is prepared by deputy directors in sections,” said M K Garg, ED (PG), MSR, Railway Board, a joint secretary-level railway officer who is also to get Rs 20,000 as per Reddy’s list. 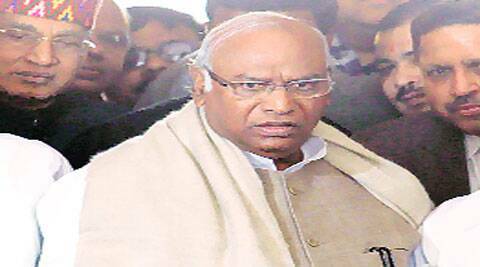 Unlike Reddy, Kharge and Chowdhury in their directives have cited “conventions followed by predecessors”. Sources said except Pawan Kumar Bansal, who had to leave amid a bribery scandal, all ministers have given this award following clamour from their legion of staff. Mamata Banerjee during her tenure in UPA-II gave the least amount between Rs 5,000 and Rs 10,000. The money given out by the last dispensation is said to be the highest. “The minister’s office asked for a list from us, so we gave a list of people working with me. I agree that when Railways is in financial mess, this kind of practice should not be carried out, but everyone was giving,” Adhir Ranjan Chowdhury told The Indian Express.